Thats all. Game finished - Strasbourg 2, Caen 2. 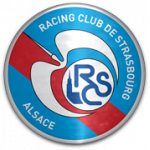 Second Half ended - Strasbourg 2, Caen 2. Malik Tchokounte - Caen - won a free kick on the left wing. Prince Oniangué - Caen - won a free kick in defence. Missed chance. Dimitri Lienard - Strasbourg - shot with left foot from outside the box goes high from a free kick. 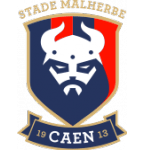 Younn Zahary - Caen - receive yellow card for a foul. Ludovic Ajorque - Strasbourg - won a free kick in attack. Substitution - Caen. Younn Zahary for Claudio Beauvue. Substitution - Strasbourg. Nuno da Costa for Benjamin Corgnet. Corner - Strasbourg. Conceded by Claudio Beauvue. Shot blocked. Adrien Thomasson - Strasbourg - shot with left foot from outside the box is blocked. New attacking attempt. Benjamin Corgnet - Strasbourg - shot with the head from the centre of the box is saved in the top right corner. Assist - Dimitri Lienard with a cross. Corner - Strasbourg. Conceded by Paul Baysse. Ibrahima Sissoko - Strasbourg - receive yellow card. Delay in match - Strasbourg Video Review. Substitution - Strasbourg. Ludovic Ajorque for Lebo Mothiba. Goal! Strasbourg 2, Caen 2. Saif-Eddine Khaoui - Caen - shot with left foot from outside the box to the top left corner. Evens Joseph - Caen - won a free kick on the left wing. Substitution - Strasbourg. Dimitri Lienard for Anthony Caci. Substitution - Caen. Evens Joseph for Yacine Bammou. Adrien Thomasson - Strasbourg - won a free kick in defence. Frederic Guilbert - Caen - won a free kick in defence. Yoel Armougom - Caen - won a free kick in defence. Lamine Koné - Strasbourg - won a free kick on the right wing. Corner - Strasbourg. Conceded by Ismael Diomande. Missed chance. Benjamin Corgnet - Strasbourg - shot with the head from the centre of the box is close, but missed. Assist - Anthony Caci with a cross. Substitution - Caen. Saif-Eddine Khaoui for Jonathan Gradit. Lebo Mothiba - Strasbourg - won a free kick on the right wing. Corner - Strasbourg. Conceded by Frederic Guilbert. Shot blocked. Benjamin Corgnet - Strasbourg - shot with left foot from outside the box is blocked. Assist - Lebo Mothiba. Missed chance. Yoel Armougom - Caen - shot with left foot from the left side of the box is high and wide to the right. Missed chance. Benjamin Corgnet - Strasbourg - shot with left foot from outside the box is high and wide to the left. Assist - Kenny Lala. Ismael Diomande - Caen - won a free kick in attack. Faycal Fajr - Caen - won a free kick in defence. Corner - Strasbourg. Conceded by Jonathan Gradit. Second Half starts Strasbourg 2, Caen 1. First Half ended - Strasbourg 2, Caen 1. Lebo Mothiba - Strasbourg - won a free kick on the left wing. New attacking attempt. Claudio Beauvue - Caen - shot with the head from few metres is saved in the top centre of the goal. Assist - Yoel Armougom with a cross. Offside - Strasbourg. Jonas Martin with a pass, however Benjamin Corgnet is in offside. 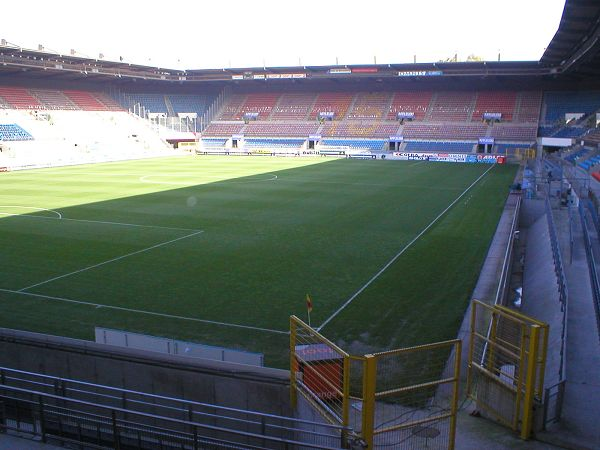 Corner - Caen. Conceded by Benjamin Corgnet. Corner - Caen. Conceded by Jonas Martin. Corner - Caen. Conceded by Lamine Koné. Jonas Martin - Strasbourg - won a free kick in attack. Ibrahima Sissoko - Strasbourg - won a free kick in defence. Goal! Strasbourg 2, Caen 1. Lebo Mothiba - Strasbourg - shot with right foot from the centre of the box to the left corner. Assist - Adrien Thomasson with a through ball. Goal! Strasbourg 1, Caen 1. Faycal Fajr - Caen - shot with right foot from the right side of the box to the left corner. Missed chance. Adrien Thomasson - Strasbourg - shot with right foot from the right side of the box missed to the left. Assist - Kenny Lala with a through ball. Corner - Strasbourg. Conceded by Brice Samba. New attacking attempt. Lebo Mothiba - Strasbourg - shot with right foot from the centre of the box is saved in the right corner. Assist - Anthony Caci with a cross. Missed chance. Claudio Beauvue - Caen - shot with right foot inside of six yard box - left side is close, but missed to the left. Assist - Faycal Fajr with a cross after corner. Corner - Caen. Conceded by Matz Sels. Benjamin Corgnet - Strasbourg - won a free kick on the right wing. Goal! Strasbourg 1, Caen 0. Pablo Martinez - Strasbourg - shot with left foot from the centre of the box to the left corner. Assist - Adrien Thomasson. Ismael Diomande - Caen - won a free kick in defence.